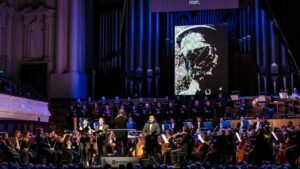 Last week the Auckland Philharmonia premiered FACE, a new work commissioned from Ross Harris. 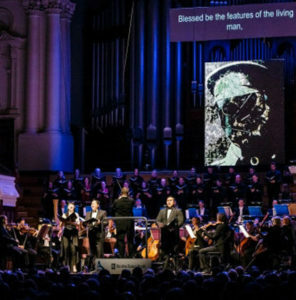 The piece was inspired by the story of Sir Harold Gillies, the New Zealander who became the father of plastic surgery and who, along with several other New Zealand surgeons treated the disfiguring facial injuries sustained by soldiers during World War I. 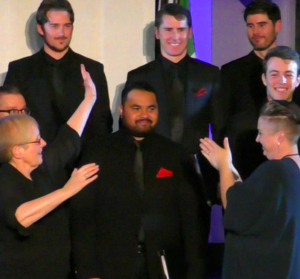 Since 1998, Voices New Zealand Chamber Choir has performed, rehearsed and trained to deliver the most excellent choral singing in this country and on occasion, overseas. 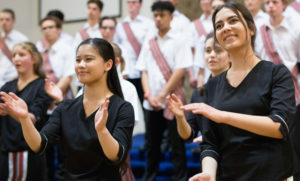 From a professionally run choir to a truly professional ensemble under Karen Grylls’ inspiring leadership, VOICES is turning 20 and now we have the opportunity to put the icing on the birthday cake – a professional European tour! This is a dream tour and we hope you can help us make this dream come true. 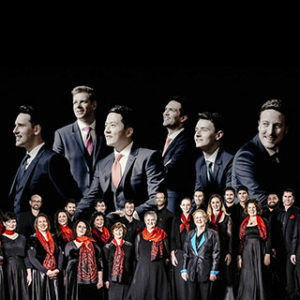 “The King’s Singers sextet were good-humoured, supremely talented, effortlessly accomplished, confident and gracious. 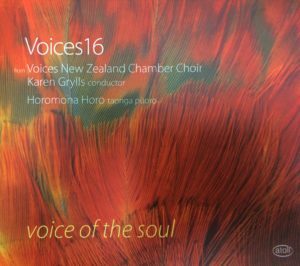 Voices New Zealand was impeccably supportive, balancing the sextet and reinforcing the climax of the chosen works. 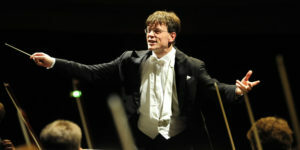 The two groups were complementary, symphonious – superb. 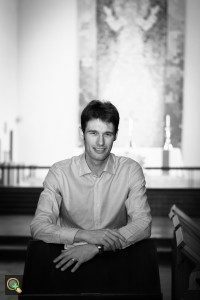 Our Artistic Director reflects on the 20th anniversary of VOICES in context of the upcoming concert with The King’s Singers. The above photograph shows Karen and VOICES at a 2002 concert in Christchurch. 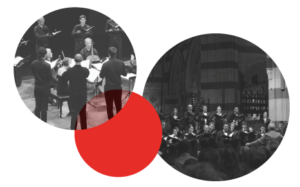 You can now pick and mix your favourite VOICES concerts for next year and SAVE! 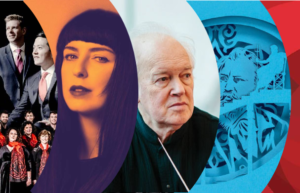 Check out the interview in our latest newsletter with collaborative pianist Rachel Fuller, who will feature in our upcoming Salut Printemps concerts. 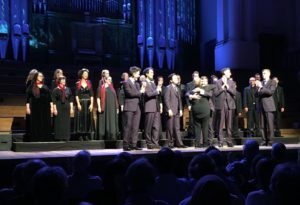 The Unusual Silence is Voices NZ’s first collaboration with NZ Opera’s General Director Stuart Maunder, who is taking time out in between the Auckland and Wellington seasons of NZ Opera’s production of Kátya Kabanová. 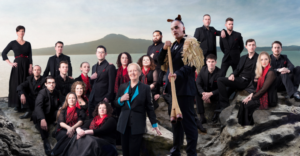 ….the 24 singers of Voices NZ Chamber Choir displaying the vocal heft of three times that number…. VOICES New Zealand has a new look! 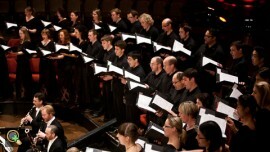 For some time now we have been thinking about what VOICES is, the works we sing and where we come from. This process has resulted in a new unique identity, a logo that we hope you too will enjoy. "The entire performance was characterised by captivating finesse, and did honour to Shakespeare." 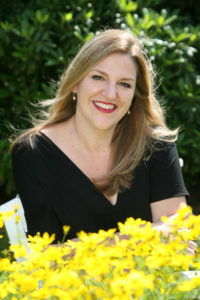 Festival presents Shakespeare songs from two choirs in admirable literary and musical contexts. "...a splendid recognition of one of New Zealand’s true international celebrities." 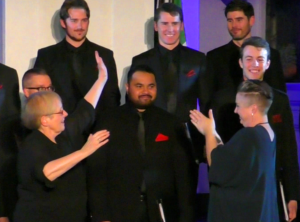 Dame Kiri Te Kanawa performs with Voices New Zealand Chamber Choir at the Michael Fowler Centre, March 13 2016, reviewed by Lindis Taylor of Middle C.
The audience in St Paul’s Cathedral was treated to a wonderful night of choral music inspired by the idea of the Magnificat. “This was indeed a never-to-be-forgotten experience for all who attended” – Otago Daily Times.